Since your pet hedgehog will most probably spend most of his time in a cage. You need to make sure he has the best hedgehog cage and accessories possible. A good cage will help ensure that your pet is safe, which is the most important concern for you as a pet parent. Your prickly friend needs to feel secure, and he needs his daily life to be fulfilling and fun. The only way to have a happy and healthy hedgehog is to provide him with a good home. And, unfortunately, this is where a lot of new pet owners make a few mistakes. 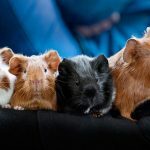 In order to prevent that, we compiled a list of possible mistakes related to buying the best hedgehog cage and accessories. Simply follow our advice and both your pet and you will be happy and without worries, mishaps and you will enjoy a loving and hassle-free. Although hedgehogs are small, they are very active and need quite a lot of space. The cage should be at least 4 feet long and 2 feet wide, so 8 square feet at least. Do not buy a starter cage! You will soon discover that it is too small and you need a bigger one. Waste of money and your time is something you do not want. Simply go with the biggest cage you can afford having your own living space in mind, of course. Bigger is always better when it comes to your hedgehog’s new home. A large wire cage is what you need but the floor needs to be solid. Don’t go for a wire-floor cage however cute it may look because it will be painful for your pet’s feet and injuries might occur easily. A hurt hedgehog is a sad companion and you will need to go to a vet and pay for the professional treatment and care. This can be easily avoided so do follow our recommendations. Hedgehogs do like to climb so multi-level cages might seem like great homes. In addition, there are many commercially available pet hedgehog cages that may work great if you don’t overlook the proper protection from accidental falls. So, remember to consider a multi-level cage as a potential safety issue: they are not the best option because hedgehogs have poor eyesight, which means they can trip easily and plummet straight down.Although hedgehogs are excellent climbers, this does not apply when they are going down… fast and in a free fall. Personally, I would avoid multi-level cages unless they provide adequate protection from falls at each level. Bear in mind that your pet’s cage needs to be placed away from drafts, air conditioners, heaters, windows, and other locations where the cage temperature would get too hot or too cold. Your hedgehog will be perfectly healthy when the room temperature is around 75 to 80 degrees F.
You should also remember to position the cage in a spot where your pet will experience both day and night. Although hedgehogs are nocturnal, they do need periods of light and darkness to remain healthy.Hedgehogs need to have about 12-14 hours of light during the daytime to help avoid hibernation attempts. Additional lighting should be provided rather than depending on daylight, especially when there is not enough daylight during the winter to prevent hibernation. Lighting can be any of your table lamps near the cage or a light specifically designed for small animals and mounted on the cage. ​You need to avoid using wood shavings because some types are harmful to your companion. In addition, wood bedding can harbor mites, and occasionally get caught in your pet’s private parts which can be very unpleasant and irritating. Aspen or kiln-dried pine shavings (BUT NOT CEDAR!) can be used for bedding. There is a variety of other types of bedding that will work well and make your pet feel cozy and safe. The fluffy bedding made from recycled paper or pulp is a great choice, for example. 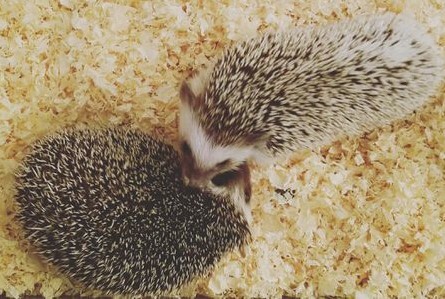 These beddings can be dusty so watch for that, On the plus side, they allow for burrowing behavior and are unlikely to get stuck in your hedgie’s private parts. Occasionally, hedgehogs can try to eat these beddings, so make sure that they don’t. If they can’t resist a fluffy snack, change the bedding to a different type. As for the amount of bedding, don’t put less than two inches of bedding material so that the pet can burrow and fool around. Spread the bedding evenly over the floor of the cage and watch him enjoy playing in it. A hide area is a place where your hedgehog can have some privacy, hide, feel safe, and play. Anything from a wood box, pet igloo, PVC tubing, half log, or tunnel can all be used as a hide area. You can also use an old shoe box with a hole cut in one end but due to the material, you need to replace it every 2 to 3 weeks. There’s nothing wrong with saving a few bucks on accessories but please go for a professionally made hide area if you cannot guarantee that a DIY solution is with no sharp edges or splinters. You can train your hedgehog to use a litter box. His cage will definitely need a small animal litter box placed where he prefers to do his…business. Litter pellets made from recycled paper are a good solution for the inside of the litter box. 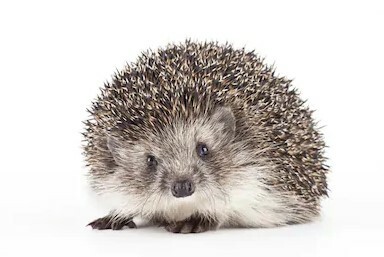 Since not all hedgehogs can be trained to use a litter box, think about the best place to put it if your pet simply doesn’t care where he pees or poops. The best spot for a litter box is under the wheel because most hedgehogs will go on their wheel anyway. One more thing: you should best avoid clay cat litter, clumping or non-clumping. It's usually quite dusty, which is bad for your pet’s lungs. Your hedgehog needs fresh and clean water. In most cases, a stoppered water bottle is often the easiest and cleanest way to supply water. You can also use a heavy bowl, to prevent spilling as an alternative if your hedgie doesn’t like a water bottle. You will need two food bowls for your hedgehog’s cage, one bowl for dry food and the other for moist food. The bowls should be quite heavy or easily attached to the cage to prevent spilling. Read our article about what hedgehogs eat, as well. Your pet will need a variety of toys and items to keep him happy and entertained. A large exercise wheel is a must in order to keep your prickly buddy healthy and active. In addition, you should consider suitable pay tubing, PVC pipe, ramps, tunnels, ledges, and other toys. For the play time when you take your pet out of his cage, a small animal playpen is a good way to keep track of him. 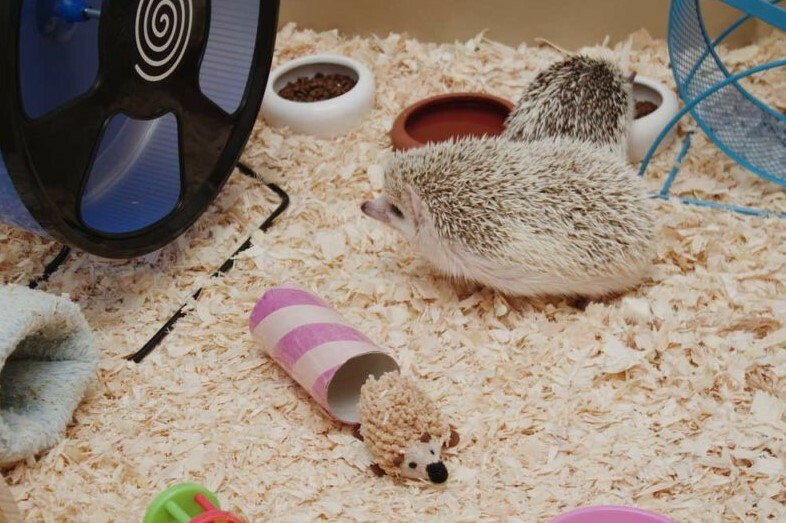 The playpen will also give your hedgehog extra room to run around and explore while preventing him from escaping or getting stuck somewhere in the home. Hedgehogs rarely seek attention, but this doesn’t mean you shouldn’t handle your pet. Some hedgehogs don’t mind handling, some are indifferent, and some dislike it. It really depends on your prickly companion’s personality. We recommending reading our guide to everything you need to know before buying a pet hedgehog for more info.